Camomano99 changed some attributes to Camo's Better Arena Armor: File 'Camo's Better Arena Armor' category changed. Camomano99 changed some attributes to Camo's Better Arena Armor: File 'Camo's Better Arena Armor' description changed. 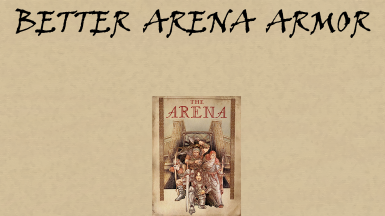 Camomano99 changed permissions for Camo's Better Arena Armor: Author changed their file credits. Camomano99 changed some attributes to Cleaner Institute: File 'Cleaner Institute' category changed. Camomano99 changed some attributes to Cleaner Institute: File 'Cleaner Institute' description changed. Camomano99 changed some attributes to Cleaner Institute: Summary changed. ; Description changed. Camomano99 changed permissions for Cleaner Institute: Author changed their file credits.